Now it was time to head south and we decided to make another stop in the Hudson Valley of New York State to help our daughter celebrate her birthday. But before leaving Canada there was a monastery that Denise wanted to visit. First, because she had never gone to a monastery before and second, they were known for cheese making and Gregorian chant in a modern style, both of which appealed. So we headed for the Abbaye St Benoit du Lac (https://abbaye.ca/index.php/fr/) tucked away in the southern edge of Quebec south of Magog. (Gog and Magog? What could go wrong?) The Abbaye was founded in the early 20thcentury by French monks of the Benedictine Order, after being banished from France (who knew that monasteries had ever been banned in France?) and had been built in stages, mostly quite modern. The church was built on more traditional lines. We took part in an interesting tour and attended part of the daily Mass, which included chants. We then headed to the store for a selection of cheeses and of course, a CD or two. We completed our visit to the area by buying some fresh crusty bread and proceeded to eat lunch by opening one of our new cheeses. We then headed for the US skirting Montreal and crossing over the border near the St. Lawrence Seaway at Cornwall. The crossing was uneventful, but it occurred later that this was such a small post that an expedition vehicle might well have raised eyebrows. 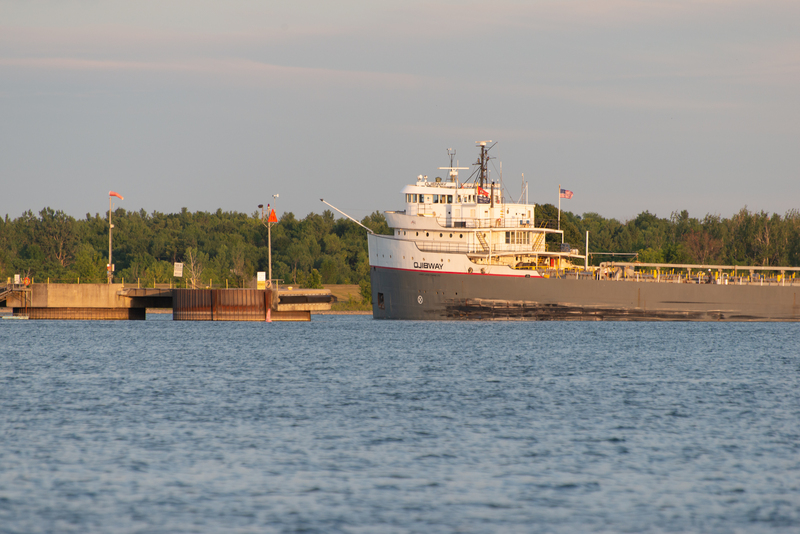 Fred had long wanted to visit the Seaway, having seen the old Walter Cronkite film as a child. (https://www.seaway.dot.gov/explore/video-about-the-seaway) And, of course, having lived in Panamá, transited Suez, and spent time on an English canal boat, we are ALL about canals! But neither of us realized that most of the viewing points for locks are on the Canadian side. 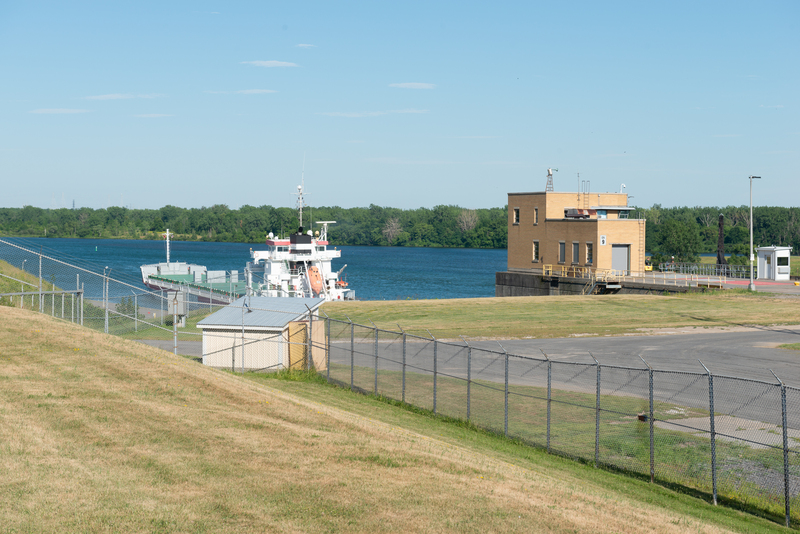 We did however discover that the Eisenhower Locks were next door to the Robert Moses State Park (https://parks.ny.gov/parks/51/details.aspx) and that the park has a campground, right on the Seaway. So we headed there. As it was close to 5 pm, we headed first to the Park office to see if there was a space available. Indeed there was and we acquired an electric only space (all that was available) in one of the two campgrounds. 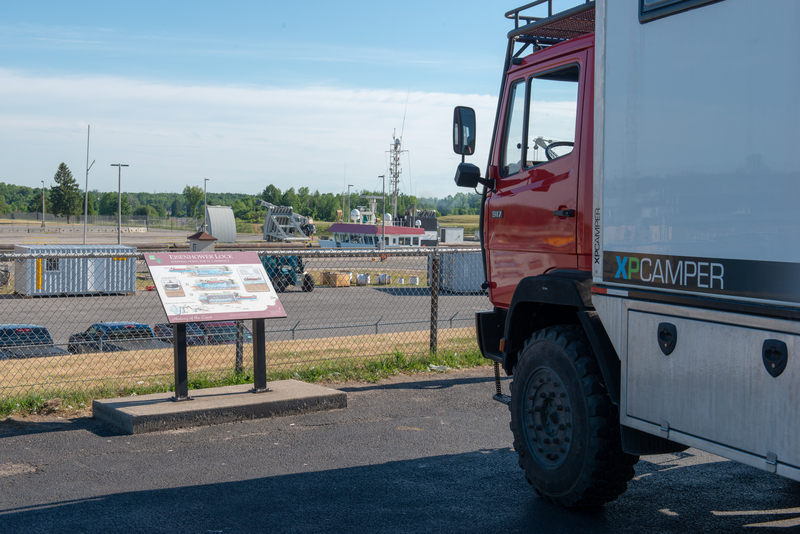 From one of the lookout areas we then watched a ship go through the lock before heading to our campground. Only the ship’s bridge is still showing over the top edge of the lock. Leaving the lock and heading towards the Atlantic. The next lock is about a mile downstream, across a small lake. This was a lovely site, nicely wooded with a path leading to the water’s edge. Blue approved and went to explore the beach. Fred looked up the time of the next ship passing the locks and walked out to the water to watch its passage and take a photo or two. 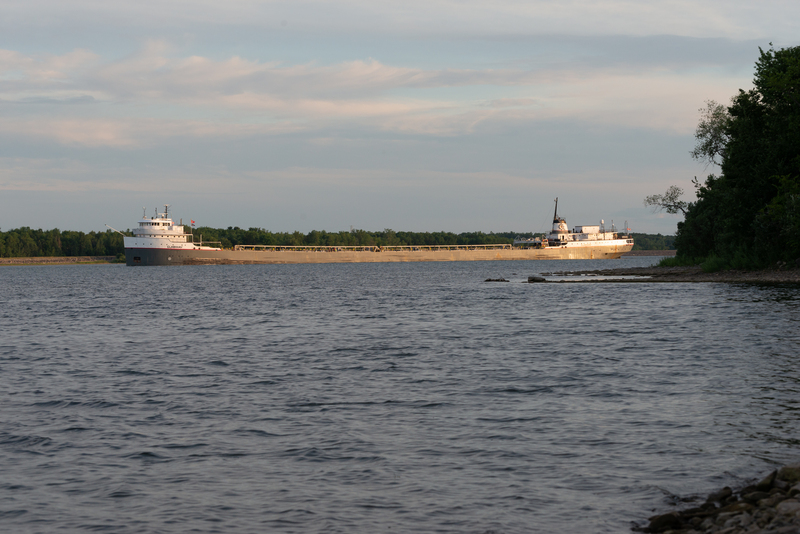 A classic Great Lakes ore carrier came into view. And lined itself up with the lock chamber. We spent the day heading east and then south through New York before stopping for the night in Lake George. We took a site at the Lake George Battleground State Park campsite, which is right in the center of town. This made it easy to decide to go out for dinner. The weather had improved during the day and the sun was shining so we Googled restaurants in walking distance and decided to try what looked like a reasonable Indian restaurant (http://www.tandoorigrilllakegeorge.com/menu.php) just up the road. We left the skylight in the camper wide open to cool it and with not even an umbrella between us, headed out. Well, just after we placed our order, the heavens opened and it poured. Fred raced back to the campground to close the skylight to prevent us having a totally wet bed and drove the truck back to the restaurant, as there was parking available. Soggy Fred arrived back in time for his dinner and we had a lovely meal before driving back to our site in shining sun again! The food was so good that we ordered more and packed the fridge so as to offer an Indian meal to my daughter and her family the next night! This entry was posted in RV Travel on September 5, 2018 by DiploStrat.